So hats off to 28 year-old Kenyan, Joseph Njogu, who according to reports this week finished second in his country’s Nairobi International Marathon, a finish that would have earned him $7,000 in proze money. Officials, however, were suspicious when the athlete finished showing no sign of fatigue. Alas, this was not an example of the famed East African stamina but rather a piece of nefarious skulduggery. Njogu, it seems, had barely run a kilometre – that’s more than enough in my book – emerging from a crowd of onlookers to join the leading group of runners outside the stadium. Race officials have taken a dim view of his enterprise and he has had his collar felt. Incidentally, the distance of the first marathon at the 1896 Olympic games was (just) 24.85 miles. The extra mileage was tacked on for the 1908 race which was run from Windsor Castle to the White City Stadium, just so the runners could finish in front of the royal box. Another reason to curse the monarchy, methinks. It was not too long ago that the inability to refrigerate food meant that consumers bought just what they needed for that day. And for pretty much the same reason, food vendors only kept a limited supply of their wares. Some of the more unscrupulous might have tried to pass off old stock on to the unwary. A way of guarding against that was to ask the vendor for a sample. The nursery rhyme, Simple Simon, which was first published in 1764, plays out what must have been a common place scenario. “Simple Simon met a pieman/ Going to the fair:/ Says Simple Simon to the pieman,/ Let me taste your ware./ Says the pieman to Simple Simon/ Show me first your penny/ Says Simple Simon to the pieman/ Indeed I have not any”. The twist, of course, is that Simon is impecunious and the pieman was right to be wary because the sample was Simon’s only hope of some victuals. It is highly likely that this rhyme predates this publication not least because a character called Simple Simon appears in a ballad published around 1685 which recounted our alliterative hero’s misfortunes and his wife’s, Margery, cruelty. Those who are desperate to find allusions to real events in children’s rhymes suggest that Simon was an old beggar called Simon Edy who was portrayed by artists such as John Seago and Thomas Rowlandson. Edy was contemporaneous with the publication of the Simple Simon rhyme but clearly could not have been the subject of the earlier ballad. If anyone waxes lyrical to me about the quality of music in the 1960s, I respond 1910 Fruitgum Company. Their affront to musical sensibility was their 1967 ditty, Simon Says which reached number two in the charts that year – so much for flower power! Simon Says is a game that was popular with children, requiring a minimum of three players. One, who takes the role of Simon issues a set of instructions which the others have to follow, only if the instruction is preceded with the phrase Simple Simon says. So you would be out if followed the instruction “jump in the air” or if you did not respond to the instruction “Simon says jump in the air”. The winner is Simon if all the other players are eliminated or the player who is still standing when Simon loses the will to live. It is a game of monumental tedium and is probably a major reason why children now stand around the playground sending texts to each other. Astonishingly, there are variants of this game to be found around the world, although Simon is replaced by the likes of teacher, leader, O’Grady, Johnny, the Captain or the King. A variant, chidiya ud in Hindi, is played in India where the person taking the Simon role shouts out a creature and by gestures the others have to indicate whether it can fly or not. 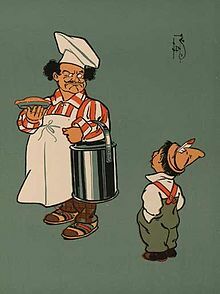 Another variant, common in Sweden, called , Gör si, gör så, the leader commands the others to do this or that while performing the actions themselves. Is this Simon the same as Simple Simon? Maybe, but unlikely and the name may have chosen for alliterative reasons. Again there is a desperate attempt to associate this Simon with a real character, Simon de Montfort who upon capturing Henry III at the battle of Lewes in 1264 took over the reins of state so that anything he said, went. I am even less convinced by this argument. Until such hideous monstrosities such as the Shard, the Gherkin, the Cheese grater and the Walkie Talkie started to blot the London landscape, the building which undoubtedly epitomised the City of London and the epicentre of commercial trading was the Royal Exchange. It is still to be found, flanked by Cornhill and Threadneedle Street as they converge at Bank junction, but it is a pale shadow of its former glory, hosting expensive emporia devoted to frippery aimed at people with more money than sense and over-priced eateries. Today’s incarnation is the third exchange to occupy the site. Rather appropriately a church dedicated to St Bartholomew, dedicated to a saint who was flayed alive just as many a trader lost their shirt, stood adjacent to where the Exchange now is. It predated the Exchange by some three and a half centuries, originally being called St Bartholomew the Less, to distinguish it from the nearby priory, and once the Exchange had been built it became St Bartholomew by the Exchange. The first Royal Exchange was opened by good queen Bess on 23rd January 1571 who as well as bestowing upon it the royal title gave it a licence to sell alcohol. Founded by Thomas Gresham and based on the design of a bourse in Antwerp, the only form of commerce allowed on the premises initially was the exchange of goods, hence its name. Stockbrokers and other forms of dealer were considered ill-bred, uncouth and rude and they had to practise their trade in adjacent establishments until the ban was lifted in the 17th century. Given its position it was inevitable that both the Exchange and St Bartholomew’s would perish in the great conflagration of 1666. A second Exchange, designed by Edward Jarman, was built pretty quickly and reopened for trade in 1669. It was not until 1674 that a decision was made to pull down St Bartholomew’s damaged steeple and a new one was erected, completed in 1683 at a cost of £5,077. The second Exchange housed the Lloyd’s insurance market until the building burned down again, in 1838, when the insurers decamped to South Sea House. I wonder if they insured the Exchange? The third Exchange building, the façade of which stands today, was designed by William Tite and adhered to the original lay-out of a four-sided structure surrounding a central courtyard where the merchants and traders could do their business. The interior made use of a new-fangled material called concrete, one of the first buildings to do so. The front features some wonderful carvings, by Richard Westmacott, and cast iron work by Grissell’s Regent’s Canal Ironworks. Opened by Queen Victoria on 28th November 1844 it commenced trading until the start of the following year. Outside the Exchange a statue of the Duke of Wellington was unveiled as part of the redevelopment. Alas, though, St Bartholomew’s fared less well. In order to improve access to the Exchange by widening Threadneedle Street the Corporation of London for permission, duly received, to demolish the church. And so it came down in 1840. Trading at the Exchange had virtually ended by the outbreak of the Second World War. In 2001 the Exchange was extensively remodelled and the building was re-opened as the retail experience it now is in 2003. As I inch ever closer to retirement and adjust to the idea of staying at home, I am starting to realise what a psychological comfort blanket dressing for work is. My ritual is the night before I select my suit, shirt, matching tie, pair of shoes, socks and they are all hanging there for me to put on when I get up. But on my non-working days I’m all at sea. I have my shower and then realise I haven’t pre-selected what to wear. And then there is a desperate search through the drawers for something suitable and the realisation dawns on me that there is a major imbalance in my wardrobe in favour of formal attire rather than leisure wear and the majority of what leisure wear I have is holiday attire suitable for 30 degrees Celsius rather than 30 degrees Fahrenheit. Some serious shopping in store, methinks. You will have noted that I included a tie in my list of work attire. I have never subscribed to the business casual look and I profoundly disagree with the Robert Peston view of wearing ties. There is something that transforms your mental outlook and approach, I find, through wearing a tie. The results of a financial institution I worked for went to hell in a handcart shortly after the introduction of a business casual regime. Coincidence or cause and effect? Peston and I will be on opposite sides in that debate! What I find even more ludicrous is the sight of colleagues who feel the need not to wear a tie in the office but wear one when they are meeting clients. They are forever taking their tie off, putting it back, on, off again. It is one or the other, surely? Regular readers will have observed that I managed to grow some passable pumpkins and achieved my first year objective of handing over one to the BoJ for his Halloween celebrations. There was a touching scene of a proud granddad handing over the pumpkin to a slightly bemused grandson. I was even prouder when I read that it was a poor season for pumpkin growers. Next year, my serious assault on some horticultural silverware! What do you buy someone who has everything? If he has announced a new hobby this is the cue the anxious present buyers have been waiting for, So, following my recent birthday my collection of premium gins has grown. 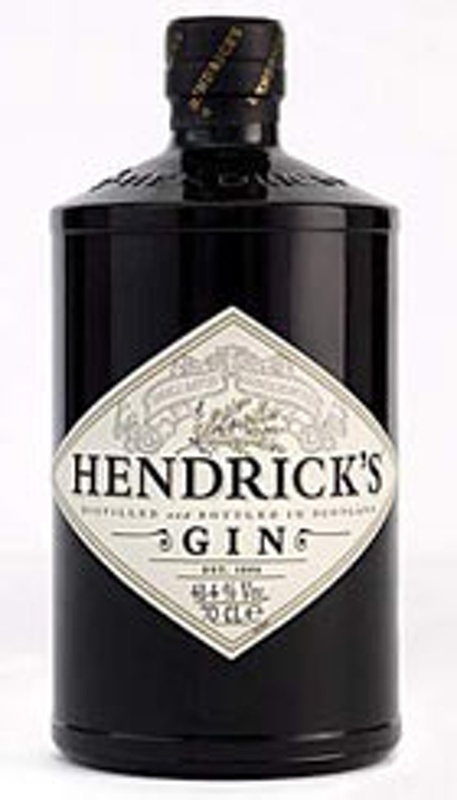 Hendrick’s dry gin comes in an unusual dumpy bottle with two grooves running along its side, making it easy to handle. It looks like a bottle you might have spotted on an apothecary’s shelf years ago. Made by whisky distillers, William Grant, it has a distinctive fresh, floral taste with rose petals and cucumber to the fore. It is very refreshing and at the lighter end of the spectrum of gins I have sampled. Almost at the opposite end of the scale is Opihr (pronounced opeer, so the bottle says) which has a very distinctive taste of spices, bearing testimony to the mix of cubeb berries from Indonesia, black pepper from India and coriander from Morocco. Rather like taking mild cheeses before you move on to the stonger blues, I find the strength of the after taste means that a glass of Opihr should follow some of the other more mellow gins rather than the other way round. A replacement bottle of Sipsmiths, still my favourite, means that I do not have to eke out the remaining drops in my original bottle. Alas, though, the Elemental Cornish bottle is exhausted and I have not seen anywhere near me that sells it and the bottle of Portobello Road No 171 has only one double left. Still it will give me an excuse to experiment with some other gins. I am really enjoying this voyage of discovery! This bubonic epidemic accounted for between one sixth and a third (between 52 and 100 thousand lives) in Moscow alone. At the epidemic’s height in September 1771 an estimated 1,000 Muscovites died a day, despite the fact that an estimated three-quarters of the population had fled the city. War and stunning incompetence on the part of those in authority contributed to the disease’s spread. Contracted through exposure to prisoners of war and booty the plague first developed in Russian soldiers in January 1770 serving in Moldova, where the disease was indigenous. The commanding general, von Stoffeln, refused to recognise that there was a plague and even when the outbreak became common knowledge he forbade the evacuation of infected troops. Van Stoffeln himself died of the plague in May 1770 and of the 1,500 of his troops who contracted the disease between May and August 1770, only 300 survived. The next problem was that though there were quarantine checkpoints in place, the exigencies of the war meant that the movement of troops and supplies took precedence, peacetime measures were overturned. The consequence was that the plague spread through Poland and Ukraine, reaching Russia by August 1770. But Catherine the Great refused to admit that the plague had arrived. By December the first case had reached Moscow. The response of the national government was to send military guards to the hospital to enforce a quarantine but by March 1771 the plague had taken hold and more forceful measures were adopted. Quarantines were enforced, contaminated properties were destroyed without any compensation or control and public baths were closed. These measures not only caused fear and anger amongst the citizenry but prompted many, fearful that their homes would be destroyed, to hide the bodies of plague victims, compounding the problem. Specially formed gangs of prisoners established to collect and bury bodies were insufficient for the task. The local economy collapsed. 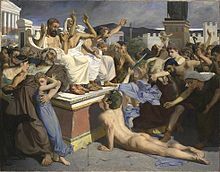 Whilst the nobility and the better-off fled the city, the majority of the citizens faced acute food shortages and worsening living conditions. By September 17th 1771 they had had enough and a crowd of 1,000 gathered at the Spasskaya gates demanding the release of captured rebels and the elimination of quarantine restrictions. Whilst order was restored with the arrest and subsequent trial of 300 of the rioters, a positive response was forthcoming from the authorities. A commission headed by Orlov improved the efficiency and quality of the quarantine process by varying the duration depending the degree of exposure and relative health of the individuals concerned and paying them for the duration of their quarantine. By November 1771 Catherine was able to announce that the plague was over although deaths continued until early into the next year. But there were significant consequences. The Russian authorities were forced to reduce taxes and conscription quotas, thus weakening the war effort which, in turn, accelerated the move towards the partitioning of Poland. Locally, the authorities banned burials in the traditional cemeteries within the boundaries of Moscow and a ring of new graveyards were built around the outside of the city, some of which are still in use today. The early decades of the 18th century were the golden age for London clubs and one of the most popular was the Mug-house club which met in a large hall on Long Acre every Wednesday and Saturday during the winter. The club took its distinctive name from the fact that each member drank his ole (ale was the only beverage on offer in the establishment) from his own mug. Judging by the hoo-hah over whether Corbyn should have sung the national anthem or not, matters royal can still rouse passions. Back then, the country was deeply divided over the Hanoverian succession, George the First having been “invited” over to maintain the Protestant ascendancy following the death of Queen Anne. The Tories had gained the upper hand by whipping up the fervour of the mobs against the German interlopers and supporters of the King were desperate to find ways in which they could fight back. The idea they hit upon was to replicate the success of the Long Acre Mug-house by setting up similar establishments around the metropolis where those loyal to the Hanoverian cause might meet, associate with each other and plot against their opponents. And so a number of Mug-houses sprang up. The first of the copycat Mug-houses was established by a member of the Middle Temple, a Mr Blenman who firmly nailed his colours to the mast by using as his motto, pro lege et rege. This club met in St John’s Lane which is midway between Farringdon and the Barbican. Then a club was established at Mrs Read’s coffee shop in Salisbury Court just off Fleet Street, followed by one at the Harp in Tower Street and another at Roebuck in Whitechapel. Others quickly sprang up in what contemporary sources quaintly called the suburbs but which to the 21st century reader are slap bang in the centre of London. Perhaps one of the most famous was the Magpie which is now known as the Magpie and Stump in Old Bailey. As well as serving Two’penny ale in your own mug it offered its clientele a prime view of the hangings outside nearby Newgate Prison and even served the poor condemned their last pint – I was unable to trace whether they charged for this! At noon it was customary to hang all the mugs belonging to the gaff in a line outside the main door, indicating that this was a place where loyalists congregated. So deeply associated with the Hanoverian cause were the mug-houses that the mug rather than the White Horse of Hanover became emblematic of the cause. Proceedings were conducted with due ceremony. A president was appointed to run proceedings and keep order and he would be conveyed to his chair sometime between 7 and 8 in the evening by members fore and aft carrying candles and to the strains of accompanying musicians. The president would then toast the members who then would return the compliment and the next couple of hours were spent making loyal toasts, in singing songs and, of course, drinking. Proceedings would break up around 10 but not before the president had named his successor for the next meeting and a whip round for the musicians. The political atmosphere worsened and the rabble was often on the verge of rioting. In the autumn of 1715 the mug-houses volunteered to be the champions of law and order and so marching into the street to fight the Jacobite mob became part of their evening’s entertainment, to disastrous effect as we shall see next time! News reaches me this week of a bit of a to-do in Auckland over berms, the quaint name given locally to roadside verges. A couple of years ago, probably for cost-cutting reasons, the Council announced that it was no longer going to maintain the verges, handing responsibility over to the residents. Some enterprising residents decided to cultivate the otherwise fallow land, filling the areas with flower beds, fruit trees and vegetables. 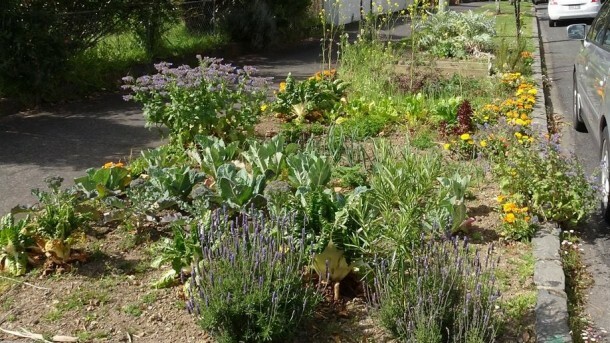 Now Auckland Transport, the agency responsible for the verges, have said enough is enough and are proposing a ban on people growing foodstuffs on the berms, proposing that anyone wanting to cultivate the land buy a permit costing 150 NZ dollars a time. Naturally, the spectre of ‘elf and safety looms its ugly head. Concerns have been expressed that crops of food stuff will encourage vermin and high-growing vegetation could pose a danger to children if they run from them into the road. Naturally, this has got the gardeners’ goat and a petition has been organised to force the Transport agency to drop its plans. Judging by the state of our verges, boasting a fine crop of weeds and plastic bottles, this is an initiative that merits some encouragement. The only pests, methinks, are sitting in City Hall!